Victory that you have conquered French seams, zipper installation, and perfect buttonholes! Victory that you've gotten this far into the day and have already eaten all your recommended servings of fruits and vegetables! Victory that you can create seamless design repeats practically in your sleep now! Victory that every single person you've encountered today was nice to you and you gave it right back to them! Victory that you've finished all those baby quilts and bags you've been making for family members and friends lately and can move on to a project that is for you alone and exactly what you want to wear! 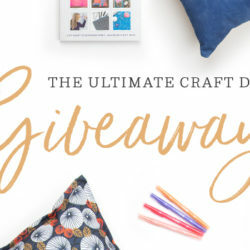 Want a chance to win a stylish and flattering Victory sewing pattern and three yards of the Spoonflower fabric of your choice to make it up in? Leave a comment including your Spoonflower name here or on our Facebook page to be entered into the drawing which closes next Tuesday, 3/6, at 7 pm EST. You've been doing everything right lately, so victory could be yours this week! This giveaway is now closed and we'll be announcing a winner shortly. Victory on last week's Craftsy course drawing belongs to Charlotte Amaro of Michigan. Congratulations, Charlotte! What a fantastic giveaway! I am crowlands on Spoonflower. I love adding patterns & fabric to my stash!! My Spoonflower ID is RachML! Yes, I do believe I would like to sew something for myself. This pretty much never happens. Kayajoy. I WANT victory! Everything is absolutely adorable. I go by the alias binksandtobes. My Spoonflower ID is Darby1412 – Thanks! I would like to be victorious. I’m troopy on Spoonflower. Wow! That is a great pattern. I would love to win! My spoonflower ID is claire_beaufort. great giveaway. Thanks for the chance to win it. Oh, how lovely! I’m Corvus on Spoonflower. Seriously awesome giveaway!!! Love it! Pick me! Thanks for the intro to Victory Patterns. 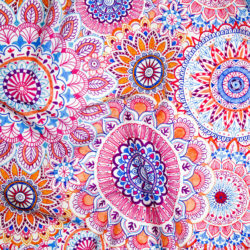 I would make the Anouk, and with three yards of spoonflower fabric, would be in heaven trying to decide the perfect material. I’m up for it! What fun! I’m Yarn Stylist on Spoonflower. I’ll first give winning this great giveaway a try and then the French seams! 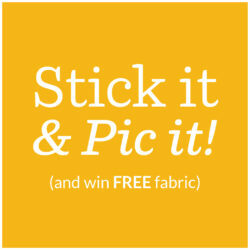 I would love to win but choosing which fabric to use would be a problem as I love them all! 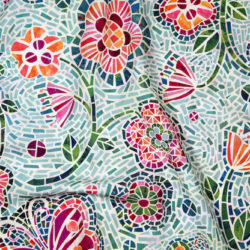 I’m martinmosaics @ Spoonflower. Ooooh! it would be so cool to win! …seamless repeats practically in my sleep…In my dreams! Neat prize, good luck everyone. I LOVE Spoonflower! esp fabric design–Half-tone black on white! I can totally visualize an awesome Victory pattern with this awesome fabric! She who dies with the most fabric, wins! I’d love a new pattern and your fabric to make it! OMG, I would LOVE to win this. Yes, I definitely need some new clothes, and 3 yards of fabric of my choice – Yahoo! BTW, I love Spoonflower. Best idea since the telephone. I would celebrate victory in cutting out a pattern with out the cat sitting on it (or so I’d like to think)! Oh what a wonderful opportunity — I’ve been eyeing off a few fabrics for a while now…. Would love to try out Victory Patterns and what better way than with 3yrds of new fabric to stitch with! fingers crossed,Thank You!!!! i would LOVE to win this. i love everything on spoonflower, it’s such a creative and fun site. Love the pattern! Would love to win! This giveaway is now closed. Thanks for all your comments!